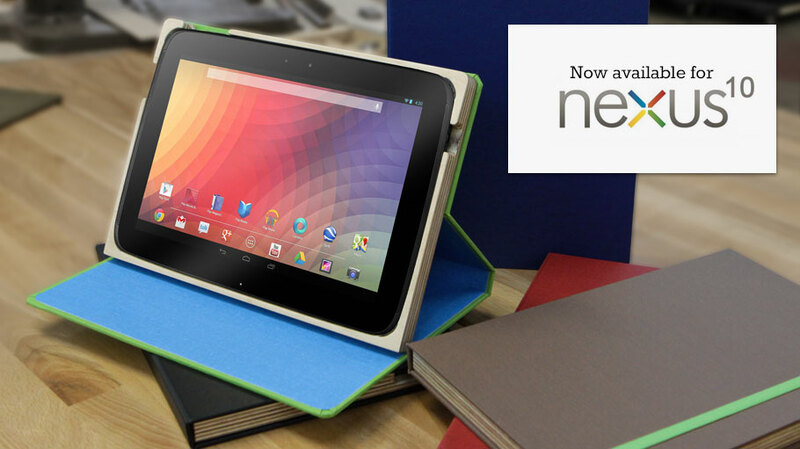 Portenzo, makers of fine hand-made tablet cases, is now selling their Alano and BookCase varieties for the Nexus 10. We’ve taken a look at both the Alano, which is made from a single sheet of leather, and the BookCase, which is exactly as the name suggests. Our looks may have been for the Nexus 7, but the the Nexus 10 cases have the same options and are made with the same high-quality materials. With both the Alano and BookCase, you can customize everything from the exterior material to the elastic band that is used to keep it closed. You can add on the Intellistand option, personal embossing to the spine, or have it stay closed with magnets. Alano N10 case starts at $125 and goes up to $180 depending on the options you choose. The BookCase starts at $60 and goes up to around $90 depending on options. While those prices may seem steep for a tablet case, I’ve had the pleasure of using both Alano and BookCase and love them dearly. If you have some change to spare, think about the leather in the Alano – it’s about as high-end of a material as you’ll find in a case.